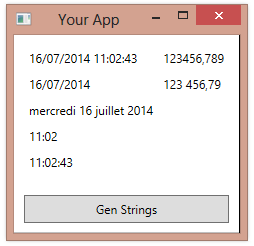 The first step in internationalizing an application is to respect the current regional settings when outputting numeric, date/time, or currency values. 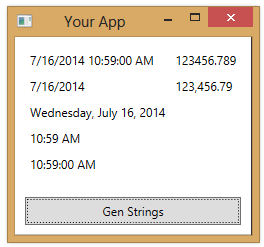 Below is an example of an application that displays numeric and date/time values, using the ToString method for instances of double and DateTime. In the Click event handler, we set the labels’ content. 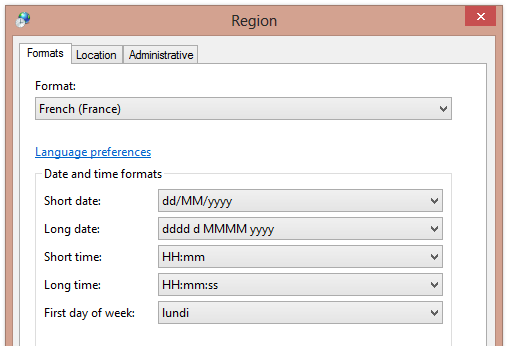 If I change my region to French (France), the formatting changes as expected.